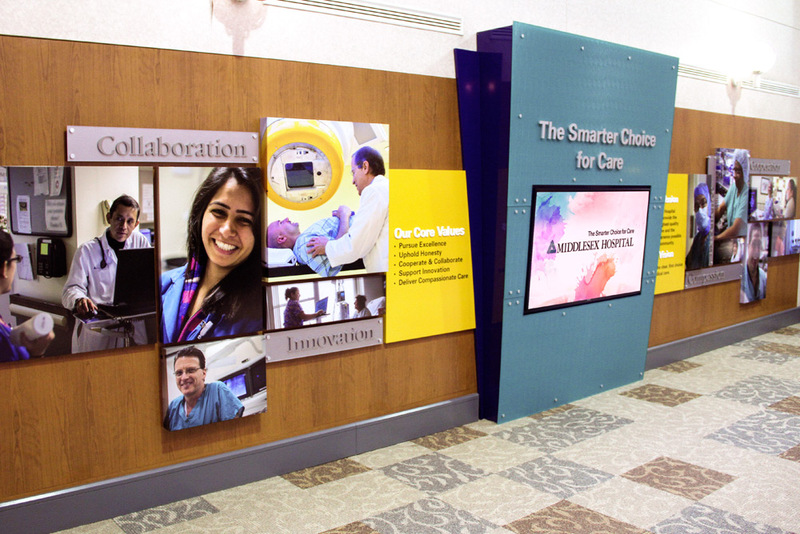 We were asked to design a lobby display for Middlesex Hospital displaying their core values and vision. Now, think about that for a second – hospital entrance and corporate doctrine. 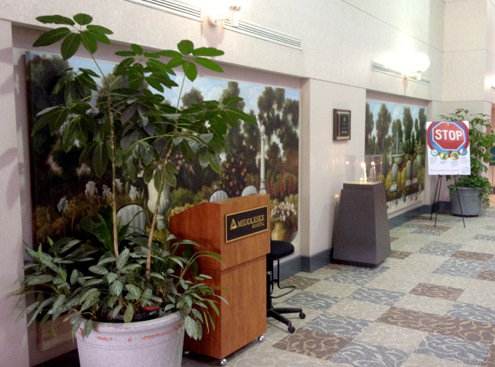 How do you connect with patients and visitors in a way that generates confidence and projects the personality of the organization?